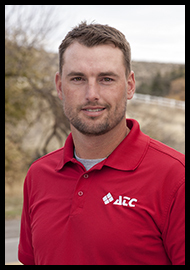 Billy works in our Albion service area, and began his career with ATC in 2007. As a combo technician, Billy spends most of his days in the great outdoors – maintaining and upgrading our newly built fiber network. In fact, Billy has become ATC’s “Fusion Fanatic”, specializing in fusing (or splicing) fiber optic cable together. In his free time Billy is a devoted outdoorsman, one who enjoys hunting and fishing expeditions (as well as occasionally showing off his unusual birthmark). We’re thankful to have this steak-loving, Mountain Dew drinking family-man on our ATC team.